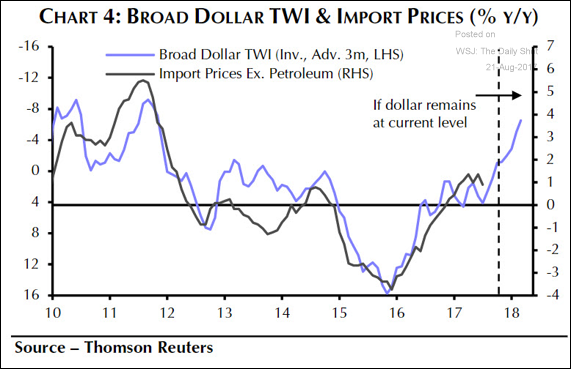 The United States: As discussed previously, the recent dollar weakness will result in higher import prices. 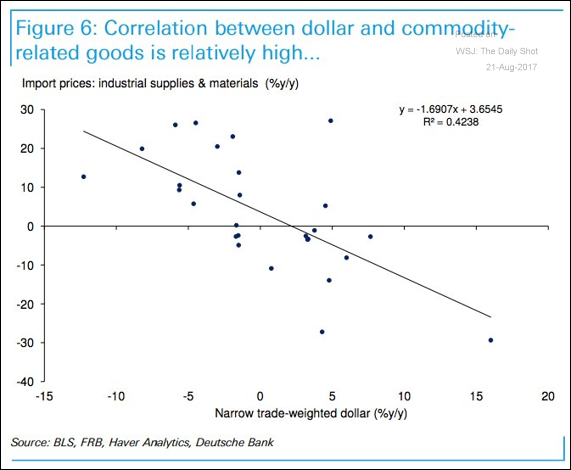 In particular, prices of industrial supplies and materials are expected to rise. 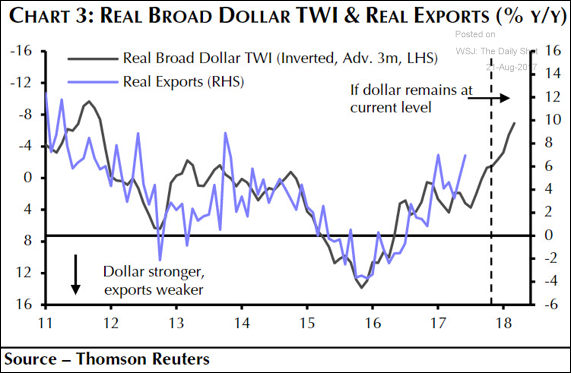 On the other hand, the dollar’s weakness should help boost US exports. Bitcoin: Bitcoin’s global trading volume has been climbing rapidly. 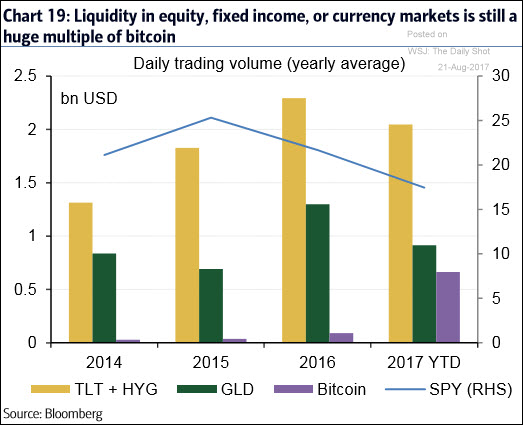 It’s now comparable to some liquid ETFs. 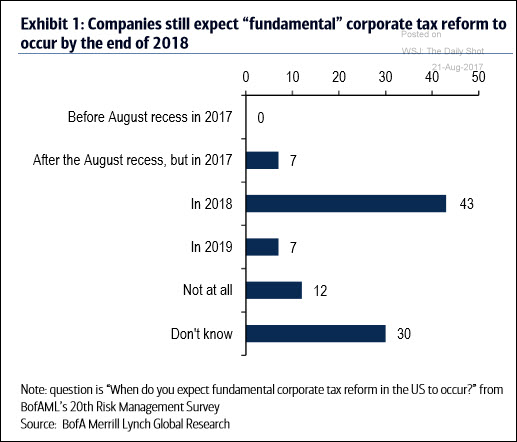 Equity Markets: At this point, the possibility of a comprehensive corporate tax reform has been priced out of the market. 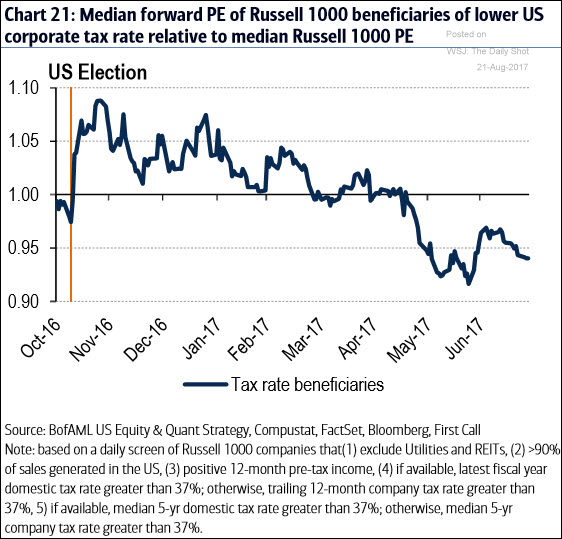 This chart shows companies who will benefit the most from lower taxes trading at a discount to the broader market. But has the market been too pessimistic on tax legislation? After all, US companies are still hopeful. Even without a comprehensive reform, a one-time repatriation of capital seems likely. What will corporations do with that cash once they bring it to the US? 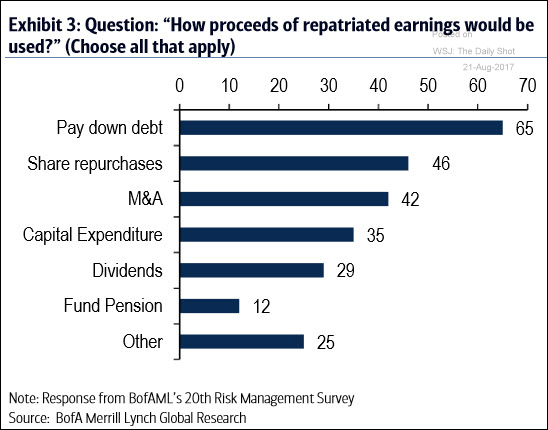 Here are the results of the Merrill Lynch Risk Management Survey. 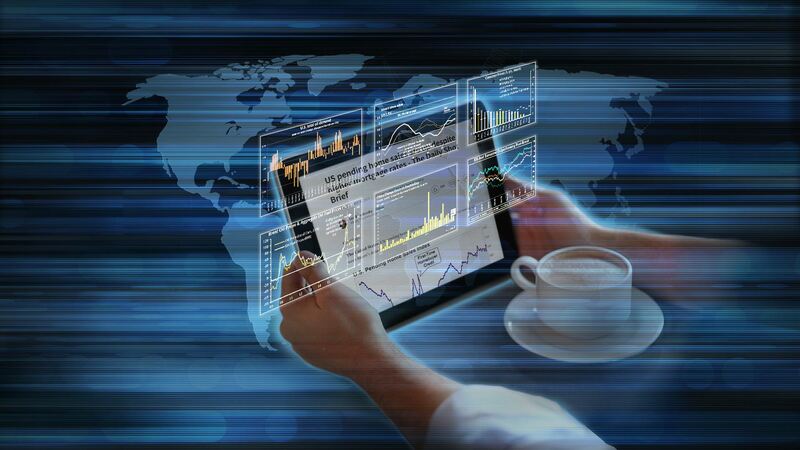 Many of the actions below could give stocks a boost. 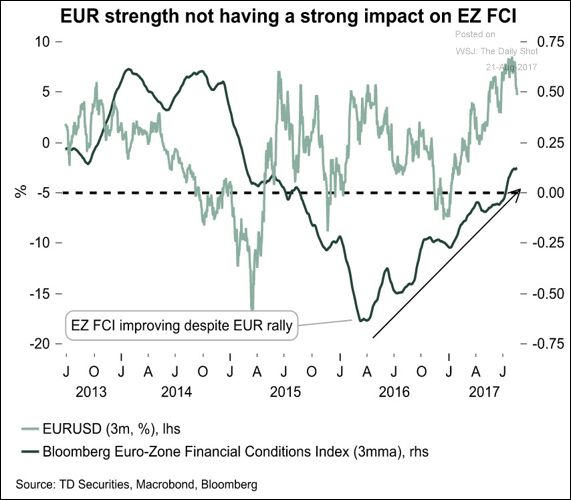 The Eurozone: Financial conditions in the Eurozone remain easy despite the recent euro rally. 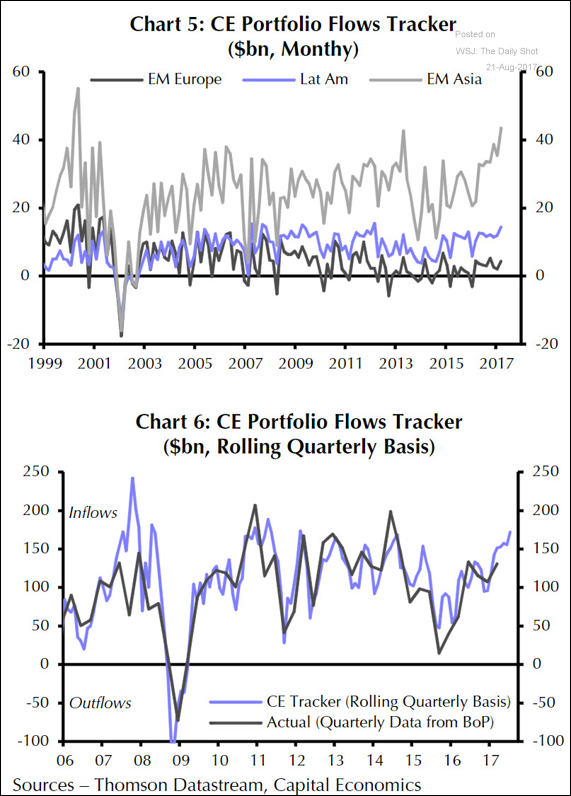 Emerging Markets: The Capital Economics investment flows tracker suggests massive portfolio inflows into EM Asia (and to a lesser extent Lat Am). 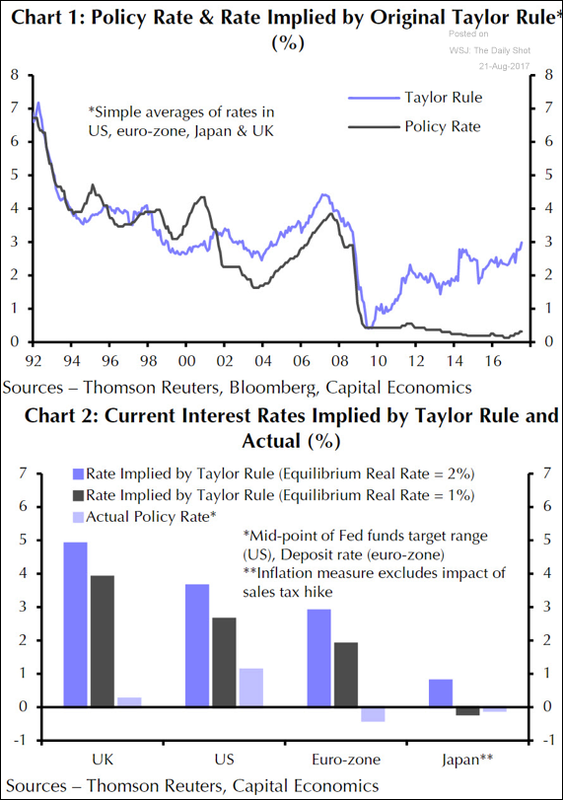 Global Developments: This chart shows the widening gap between the overnight rates implied by the Taylor Rule and the actual central bank policy rates. The central banks are not tightening policy in tandem with the economic improvements. 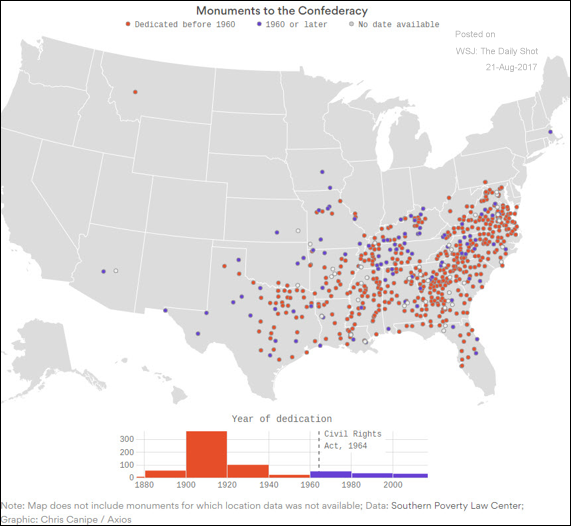 Food for Thought: Confederate monuments map.